What’s on the horizon for waste baling in 2018? There has been a lot of talk about the level of industry innovation coming up over the next 12 months, which should make it an exciting time for the world of waste and recycling. We’re seeing street cleansing fleet becoming ever-greener, energy-efficient electric drive shredders replacing diesel-guzzling equivalents and optical technology advancing beyond belief to improve the sorting capabilities of MRFs. These are just a few examples of course, and that’s before we even consider the pioneering re-use of ‘waste’ materials, even down to used coffee grounds! This hunt for ever-smarter operations is being witnessed in the recycling sector too and as a result, large entities that have long been using baling technology are naturally shifting to fully-automatic, horizontal machines that require minimal human input. This isn’t because they’re cutting back on labour necessarily, but because they recognise that automation can free up employees’ time to complete other responsibilities. 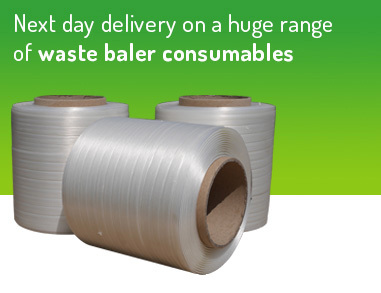 This trend isn’t to say that other balers will become obsolete – far from it! Medium-sized waste handlers that currently run 1-2 vertical balers, for example, are likely to naturally progress to semi-automatic machines. These models can be fed manually or using a variety of material loading equipment. The compaction cycles are typically automated for operational simplicity, a ‘bale full’ light is triggered when the maximum volume has been reached, and, once hand-tied, a full-stroke bale ejection system then allows for the easy removal of recyclables. 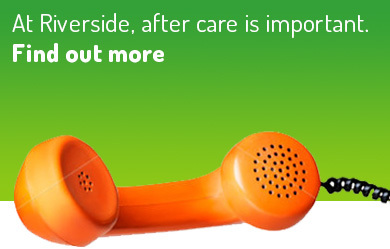 There are still efficiencies to be gleaned proportionate to the requirements of the organisation concerned. In smaller retail outfits, offices, restaurants and takeaways – to name just a few SMEs that could benefit from baling technology – the objective will be less about automation and more about investing in equipment that is fit for purpose and can achieve a return in the shortest time possible. The search for larger automated machinery will come in time as their recycling requirements evolve. It is important that organisations don’t over-spec their procurement, simply to follow an apparent ‘trend’. In the automotive industry, competitive PCP deals have seen a growing number of consumers procuring brand new cars for a straightforward monthly price. The competitiveness of these deals has created something of a mindset shift in the UK – a country that has typically been averse to such packages. People are now more than happy not owning an asset outright if they can benefit from the latest technology at an affordable rate. This same mindset is becoming more apparent in business too. It seems that an increasing proportion of organisations are exploring finance and hire arrangements, even for machinery such as balers. Of course as the economic climate rides the wave of turbulence there is a constant demand for the most attractive deal possible. However, suppliers are acknowledging this and shaping appealing menus of options – often inclusive of service, maintenance and spare parts – to suit customers’ varying financial needs. 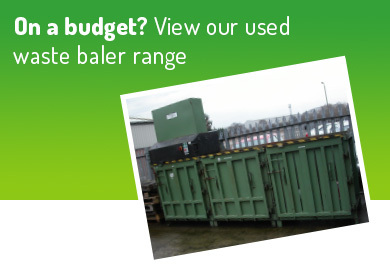 This ease of procurement is opening up the baling market, particularly to smaller organisations that may previously have perceived a waste baler as too significant an investment. In an increasingly social-conscious world, a number of start-ups are even prioritising their environmental agenda from the outset, mindful of the impact that a ‘green conscience’ could have on customers’ perceptions of their brand. Gone are the days, therefore, of only established corporates investing in baling technology, and this trend will only advance in 2018. 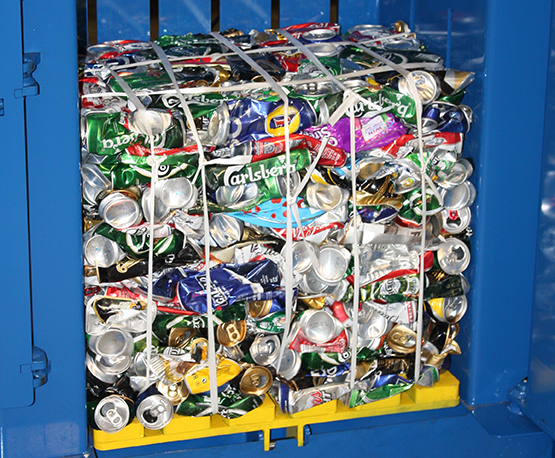 ‘Hot’ sector-specific markets are emerging too, with prisons increasingly creating their own recycling centres for example. Management teams are acknowledging the opportunity to educate and upskill inmates whilst strengthening the resource efficiency of their site and, in many cases, generating a revenue stream from the onward sale of baled commodities. Overseas enquiries – particularly from the UAE and other parts of Asia – are also flooding in for UK balers. Driven to a great extent by the weak pound, this international interest will hopefully deliver an added level of buoyancy that complements demand from the domestic market as next year unfolds. It has been impossible to escape media commentary surrounding the imminent changes to data protection laws, and the world of recycling is not immune to the legislative developments. GDPR is coming in May 2018 and, whilst a few months may seem like a long time in the business environment, the need to prepare is now. It helps to describe a materials handling scenario. Ecommerce retailers who mail products to customers and accept returns for unwanted or unsuitable goods, will have to think even more carefully about how they safeguard the packaging materials for these items. In recent times, brands have started to realise how exposed they could be to a data breach if a customer’s returns paperwork and/or address label was to get into the wrong hands. And, some larger high street retailers have consequently begun shredding such materials to ensure comprehensive data destruction. But with GDPR being all-encompassing, it’s not just the household names that need to develop data destruction processes. 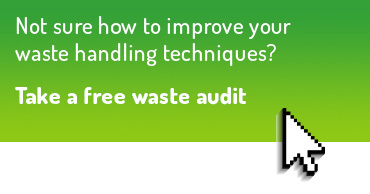 Even lesser-known, independent ecommerce outfits need to be thinking about the processes they adopt and, when the data has been destroyed, retailers large and small should then adhere to the waste hierarchy and take the steps they can to recover these valuable materials. 2018 will therefore be the year that a growing number of organisations begin to think about next-step downstream equipment, not just the initial problem solver. 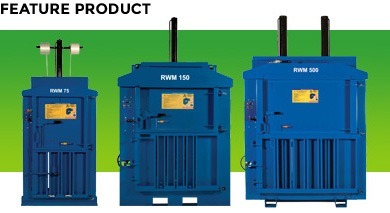 Shredders and balers commonly work together in MRFs, for example, but less so in smaller operations. However, next year they will start to work closer together and some brands may even invest in shredder-baler combination units – where the materials don’t leave the machine until they’re securely destroyed and tied – for complete peace of mind. Nobody knows how 2018 will pan out of course, so many predictions are educated ‘best guesses’. However, one thing is for sure. Balers have – and will continue to be – robust workhorses that, in most cases, are purposefully engineered for their longevity. In many respects such asset durability means they remain in operation for decades and, as a result, they’re not necessarily perceived as innovatory – even by the people who rely on them day in day out. However, it’s only when reflecting on the multifaceted recycling challenges that they address, for a relatively low-level investment, that it becomes clear just how much innovation has truly gone into the construct of these machines.